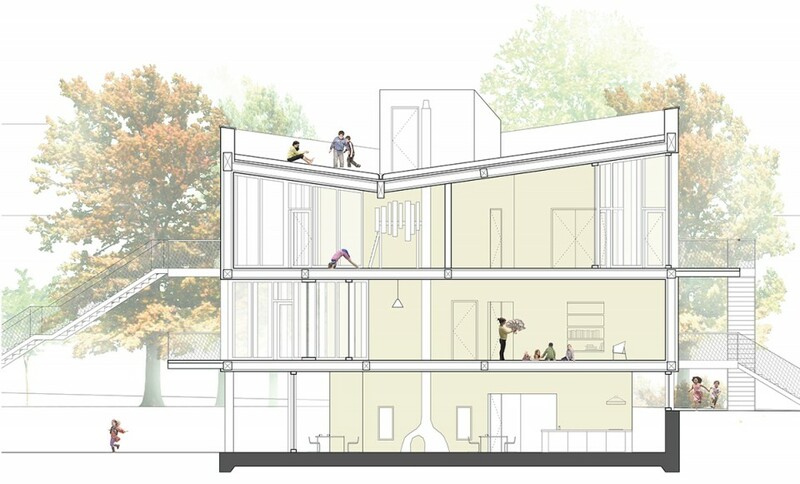 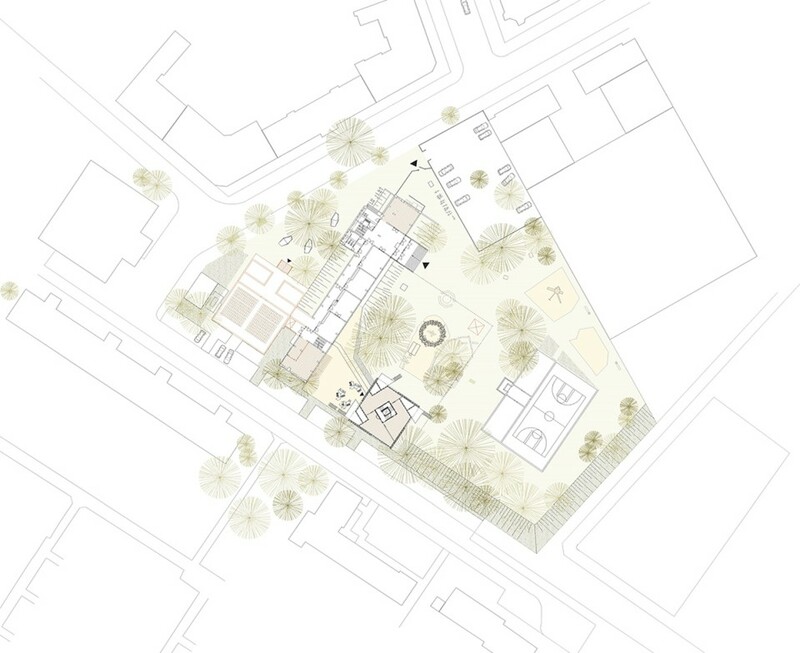 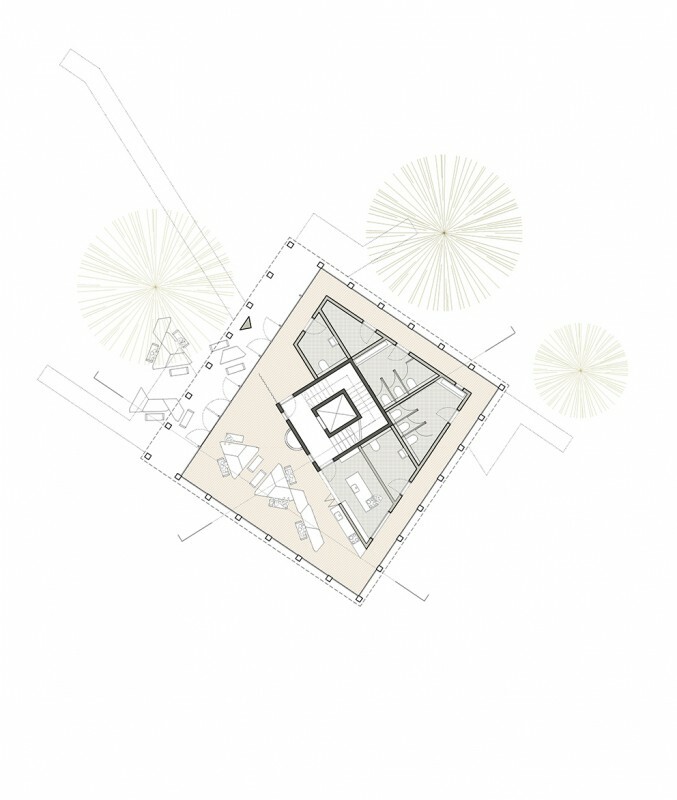 Competition entry for a new after school building for the Frei Waldorfschule in Berlin. 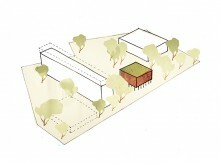 The existing Waldorf School occupies a former 1960’s prefabricated concrete school. 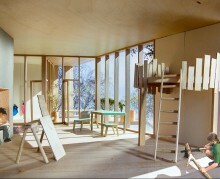 The new after school “Treehouse” provides a stimulating environment for children aged between 6 and 11; somewhere after school where they can retreat to, appropriate to make their own and inhabit over 4 years. 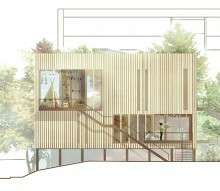 The building is comprised of individual “Treehouses” for each group which open directly to the outdoors and are more informal, playful and cosy than their classrooms. 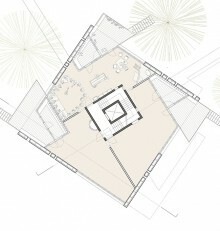 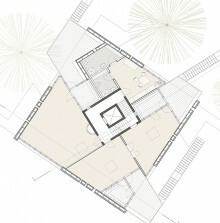 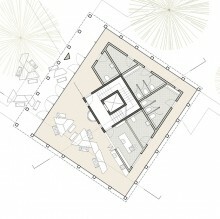 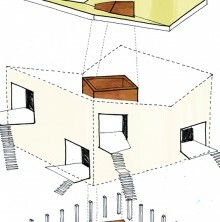 The houses are grouped together to simultaneously form both an individual base for each group and a sense of community. 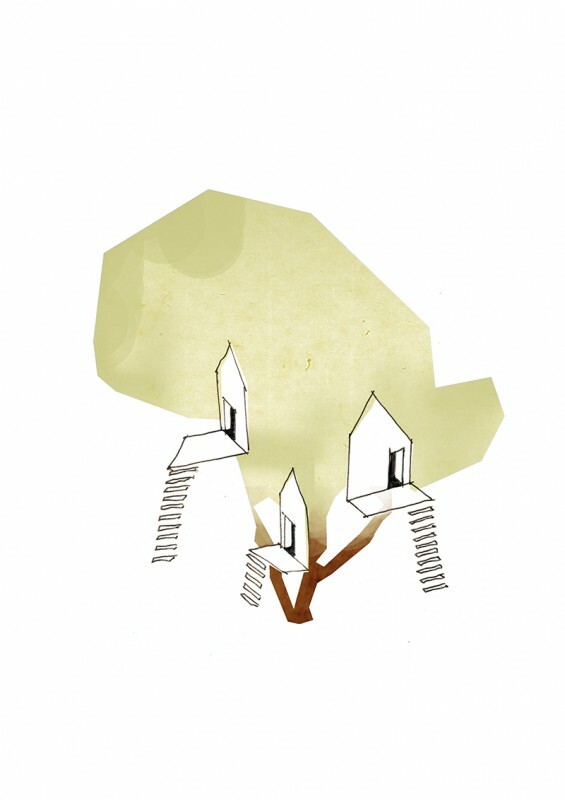 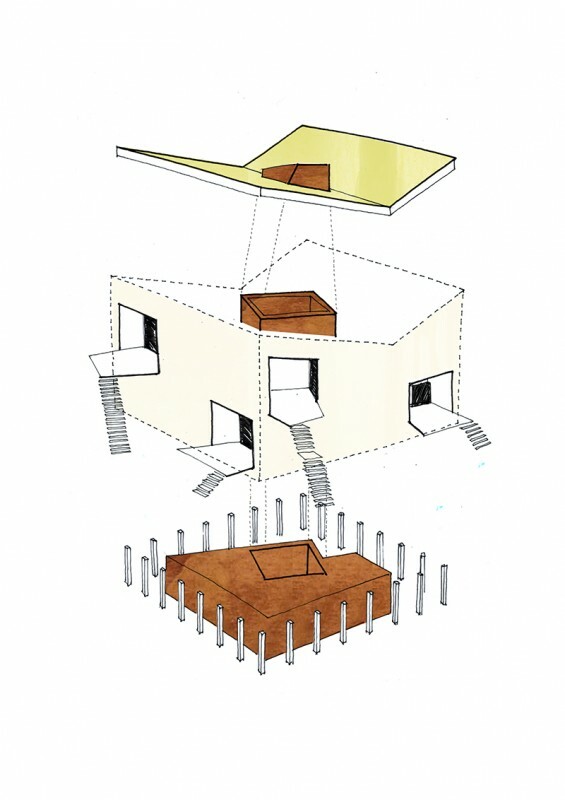 The “Treehouse” is a compact freestanding building located in the schools playground amongst the trees, bell tower and outdoor oven which maximises the limited open space. 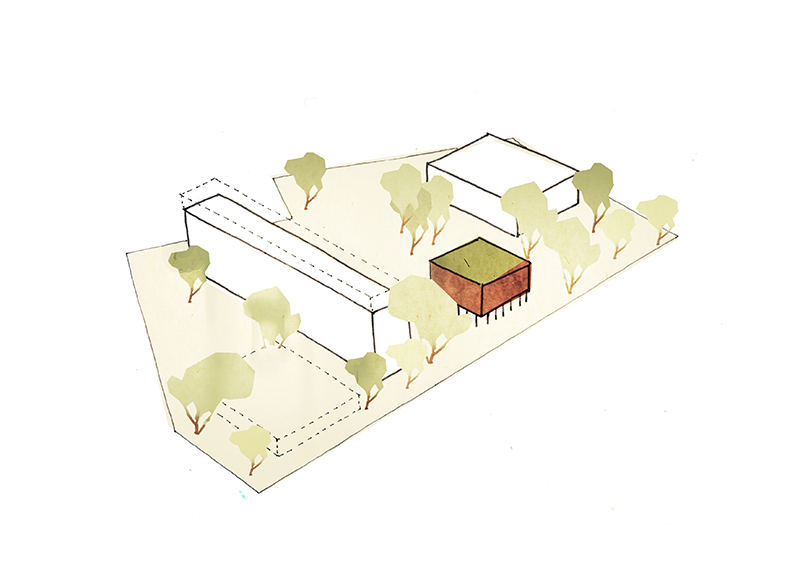 The timber structure is elevated above ground level allowing the landscape to flow beneath the building forming a series of more communal spaces. 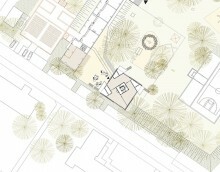 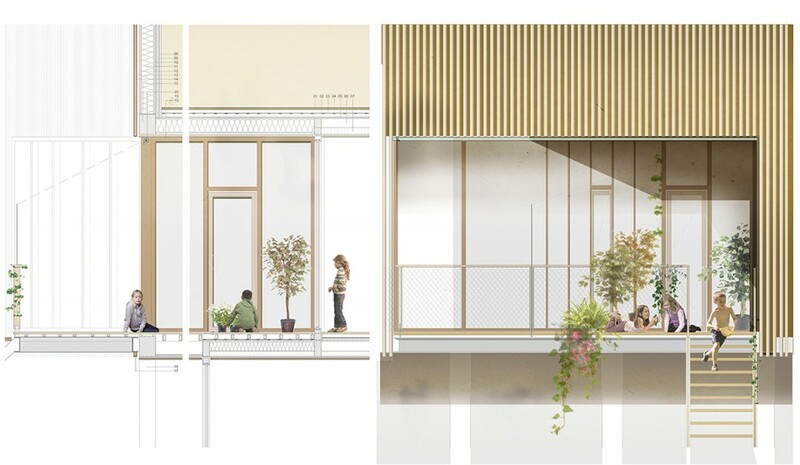 These open out onto an adjacent sunken outdoor area, a lively yard, which connects with the workshop spaces in the existing building. 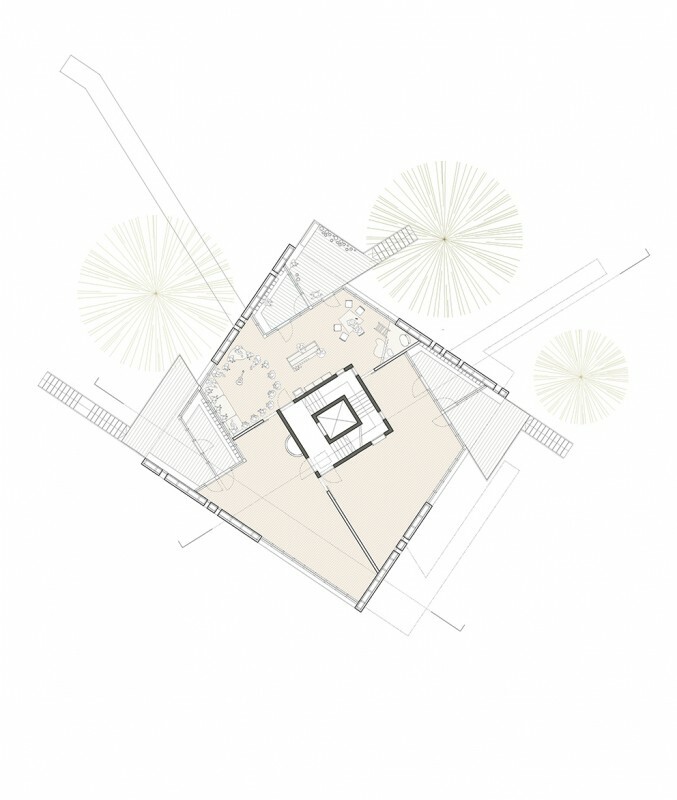 A playful circulation core forms the “trunk” of the building connecting the lower level communal areas, 6 elevated group rooms and a roof top garden. 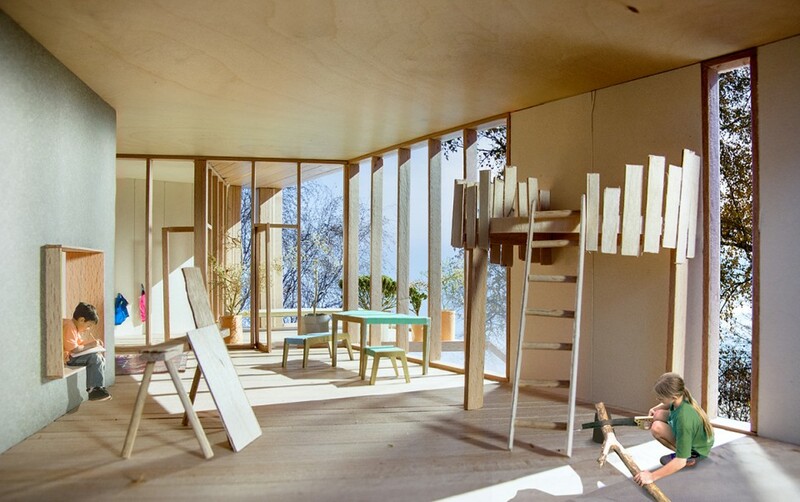 The sloping site at ground level allows sunlight to flood the south facing eating area which has a teaching kitchen and clay oven. 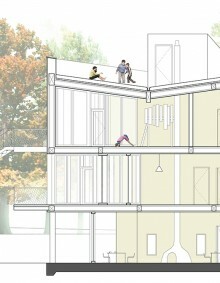 The sanitary facilities are clustered around the “trunk” at base level with a continuous sunken walkway which mediates between the landscape and core of the building. 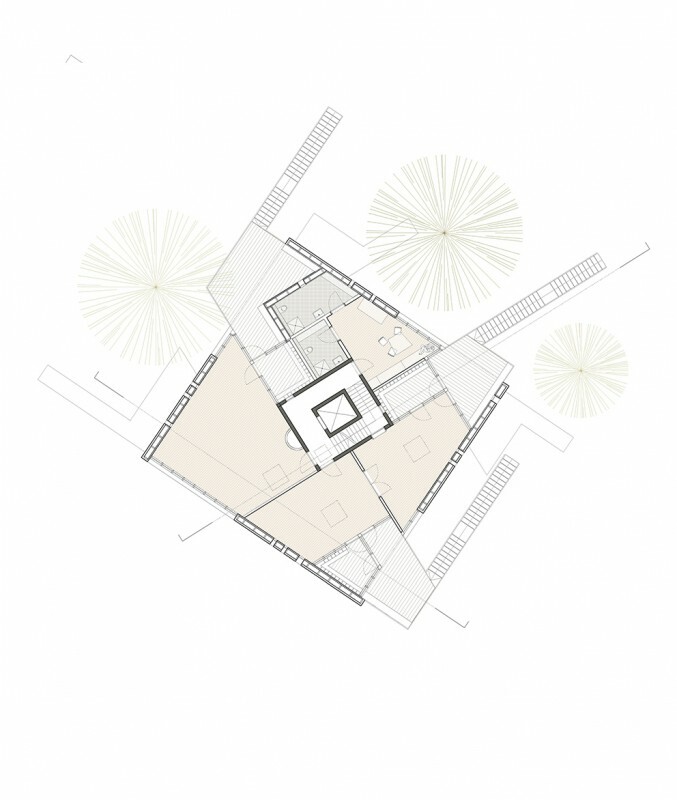 The core is perforated, allowing views between the group rooms and staircase and is slightly rotated creating trapezoid shaped rooms with small niches to hide in and retreat to. 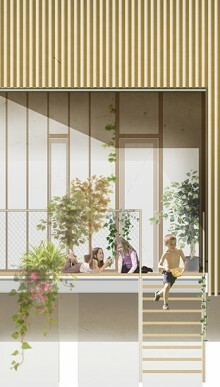 Each group room has its own terrace which can be appropriated to form individual outdoor entrance areas to each “Treehouse”; for example by gardening or building. 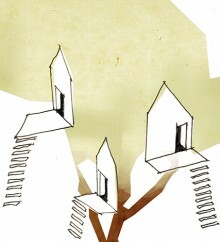 Each “Treehouse” is then in turn connected by an outdoor staircase to the playground.